The sermons, public addresses, and prayers of renowned evangelist and preacher Dwight L. Moody are now available on The Bible Study App! 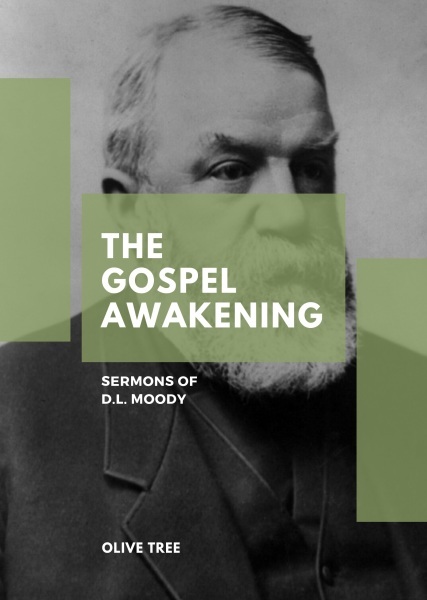 With over 80 sermons, public speeches, and prayer meetings held by D. L. Moody recorded in this volume, The Gospel Awakening provides readers with the moving and compelling speeches that initiated the revivals of the late 1800s. Additionally, readers have access to dozens of speeches and sermons given by D. L. Moody's own contemporaries and colleagues, including Ira D. Sankey, Philip P. Bliss, D. W. Whittle, Joseph Cook, and Frances E. Willard. Complete with preface and introductory biographies on all of these evangelists, this collection is ideal for anyone researching Moody's life or those interested in revival and spiritual awakening.